Hi, Tech Enthusiasts, Welcome back to my blog. Today we are going to discuss how to enable BitLocker in Windows 10. I believe if we are on this page we all know that Microsoft Windows has its very own built-in version of BitLocker. Before we begin small summary about why to use BitLocker on the computer? The best reason behind that is: "BitLocker encrypts all the Data in the Drive which is marked as 'Encrypted' by BitLocker, it saves data from unauthorize access, so no one can steal anything from your computer's Hard Drive and data is safe by encryption." -Ashish J. In addition: "Safe by encryption" means if someone manages to break into your computer or steal your hard drive, still the person will not be able to do much harm if you have BitLocker Protection on your computer." Now we are going to discuss enabling Microsoft BitLocker Encryption. First, The important feature is Setting in BIOS, the setting name is TPM which means "Trusted Platform Module which is a basic requirement for BitLocker. 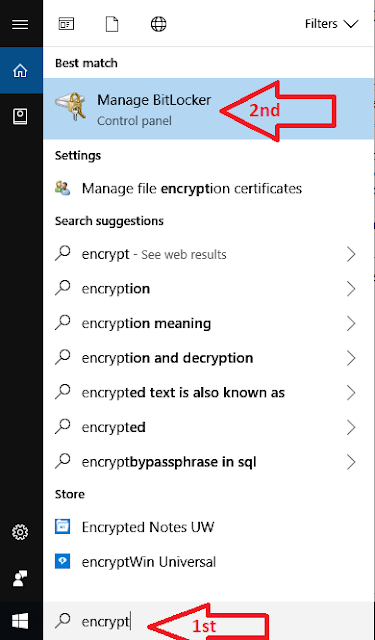 And in Windows 10 Home you will not get Encryption option at all. To enable TPM we need to get into computer BIOS, there are always some magic keys like ESC, DEL, F2 etc.. depending upon the manufacturer of the computer motherboard. Source and Credits to Intel Visual BIOS. 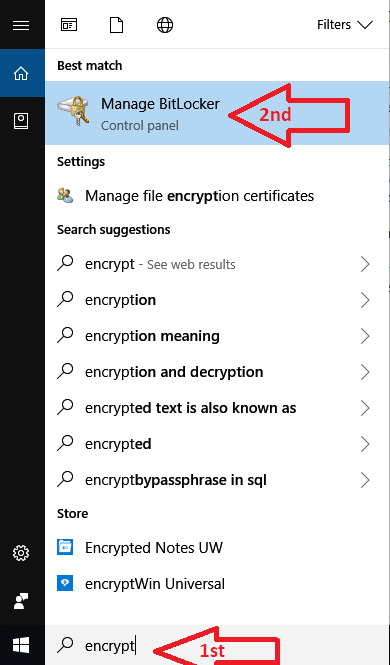 Need to enable it and now you just need to start the computer into the windows and now in Cortana type in encrypt and you will find the option. To enable the bit locker just click on Cortana and type "encrypt" and on top of it, you will get the option to enable the boot locker. It may say "Enable Drive Encryption" (HOME windows 10) or Manage BitLocker (Windows 10 Pro, will have more options as well) or you may not get any option on top because one of the important features is not turned on prior to encrypt the HDD. Now just select "Turn on BitLocker" and the system will encrypt the HardDrive. Depending upon the type of Hard drive and system performance it will take time to encrypt the Hard Drive. You may find a performance issue while the encryption is on because when the encryption is on the operating system gets the additional task to perform. Check more about TPM, Click here - Credits to Ahuva Kroizer, Intel. 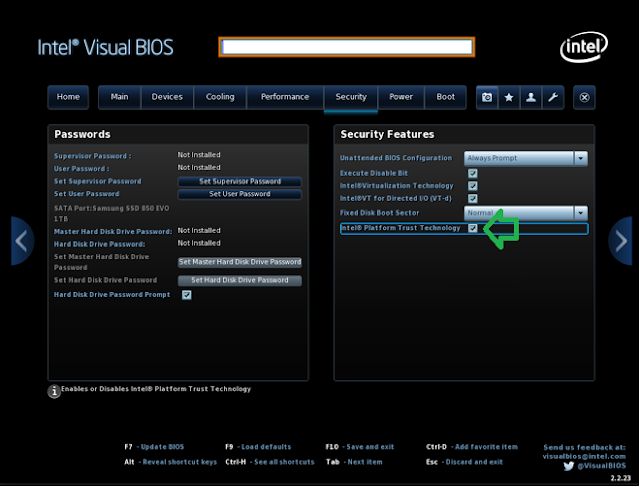 How to Configure the Trusted Platform Module (TPM) When It's Greyed Out in BIOS on a Latitude 7350 - Credits to the source Dell.com.